Take Chandler Boulevard East from Ahwatukee and you’ll run right into the valley’s newest and largest mall. Plan to stop for lunch at the Cheesecake Factory and don’t miss the terrific sales at Dillard’s and Robinson-May. It’ll be easy to fill your Ahwatukee home with wonderful fragrances, superb furniture and magnificent artwork after a trip to this outstanding Chandler landmark. Find what you need and don’t look far. 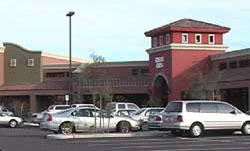 Ahwatukee shopping is just around the corner. From Custom Jewelers to Skate Shops, your Ahwatukee home is just minutes from some of the best shopping in the valley. 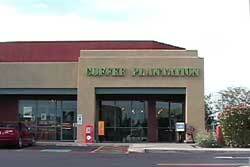 Coffee Plantation is just one example of the many java houses in Ahwatukee. If you visit one of these purveyors of “steamy joe” plan to stay awhile. You’ll probably run into friends. 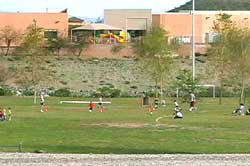 Without a doubt families will find the recreation activities they’re looking for in Ahwatukee. Parks and athletic fields are abundant in the Ahwatukee area. You’ll find them in use most evenings and weekends. Ahwatukee is home to the valley’s newest YMCA. This is not you’re average YMCA. It contains a state-of-the-art fitness center, lap pool, a beach-entry play pool, two basketball courts, free child care for members, a skate park, a climbing wall and experts in all areas to provide instruction.